What is the Bonus Referral Program? The Referral Bonus Program is intended to connect us with people we would not otherwise have found. If the Kauffman School team hires a candidate based on your referral, you will receive notification via email and will receive $250 referral bonus on behalf of the Kauffman School. If you know someone who you think would be a great candidate, please read the following and use the referral form to connect us with them. The following will not be eligible for the Referral Bonus Program: Employees or their immediate family members of the Ewing Marion Kauffman School, the Ewing Marion Kauffman Foundation, or any Ewing Marion Kauffman Foundation Affiliates. You must be at least 18 years of age to refer candidates. You must notify the person you are referring that we will potentially be in touch with them to explore employment opportunities. If your referral applies for employment, they must apply for employment online on the Kauffman School Careers website, indicate your full name in the section titled “How did you learn about this position?”, be hired, and complete 30 days of continuous employment in order for you to be qualified for the bonus. Any referrals made verbally, through email, through phone contact, or through any other means will not qualify for the bonus. Any referrals made after the employment application is submitted do not qualify. If more than one person refers a candidate to the Kauffman School, the Referral Bonus will be awarded to the referral submitted first, as denoted by date/time of filing of the referral form. You may not refer yourself to receive a bonus. You may only refer candidates who are not already in our recruiting network (i.e. Teach For America Kansas City corps members and alums are already in our recruiting network). You may not split the referral bonus money with the hired candidate. You may refer as many people as you like under this program. If you are contacted and told that you qualify for the bonus, you must fill out and return a Referral Bonus confirmation form and W-9 form that the Kauffman School sends to you, before a payment may be processed. You are responsible for any tax reporting and tax due on the bonus. Please note: Decisions regarding referral bonus rest with the Kauffman School and all decisions made by the Kauffman School will be final. You will receive your referral bonus once all eligibility and paperwork is verified and processed. 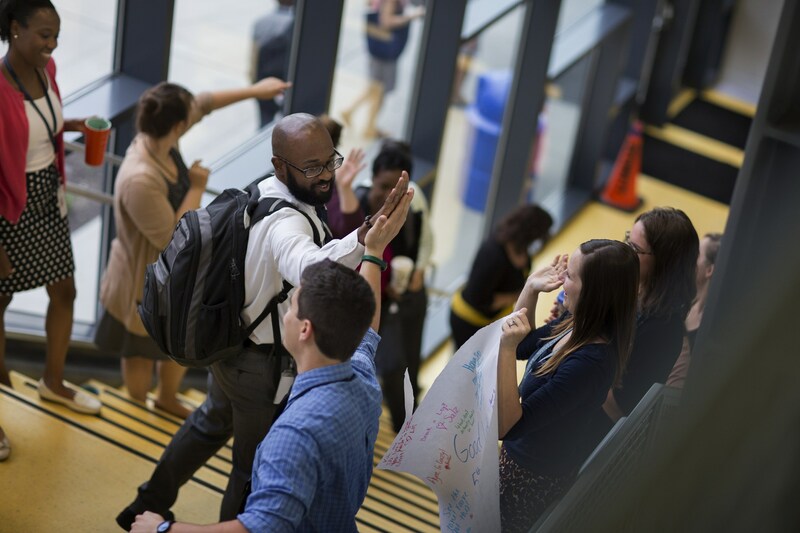 Know someone who would make a great addition to the Kauffman School team?